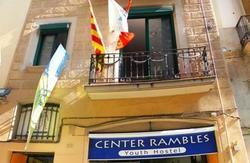 Torre Girona Youth Hostel is located at the Campus Nord (Northem Campus) of the UPC, in the district of Pedralbes, was inaugurated in June 2002, as part of a deal with the Universitat Politecnica de Catalunya. 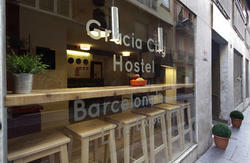 The hostel is situated near Diagonal and Footbal Club Barcelona Stadium 'Camp Nou'. 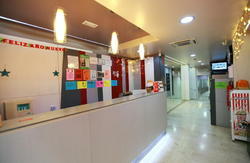 There are also rooms available that have been designed for handicapped persons. Torre Girona provides the mattres with a case, blanket, pillow, bedspread, bottom/top sheet and towels. In Standard rooms there is breakfast buffet included and daily cleaning service. In Basic rooms there is no breakfast included nor cleaning service. The closest bus lines travelling to and from this area are the following: 7, 33, 63, 67, 68, 74, 75 and 78.